Swimming is a fascinating sport. Swimmers are intriguing athletes. And there are so many interesting (and weird) things about both of them that you may or may not know about. Here’s 15 weird facts about swimming that will make you look at the sport in a new way. 1. Freedivers can hold their breath for more than 10 minutes. Most people can only hold their breath for a few seconds. However, people with proper training can hang on for at least two minutes. Then you have freedivers, who can hold their breath for up to 10 minutes (or more). The world record for breath-holding is 24 minutes and 3 seconds, which is currently held by Spanish freediver Aleix Segura Vendrell. 2. There is enough water in Olympic-sized pools to take 9400 baths. Olympic pools hold 660,000 gallons of water, where bathtubs can only hold 70 gallons. That’s a lot of baths. 3. Swimmers can flex their toes to the ground. In order for swimmers to propel their bodies through the water, they must have good flexibility in their feet and ankles, which is why you see a lot of pointed toes in swimming competitions. This allows a smooth surface to be created for water to rush by, reducing drag. 4. The odds of swimming in the Olympics are very slim. On average nearly 2000 swimmers make it to the Olympic trials. Out of that number, only 50 of them will actually make the Olympic swim team. 5. The oldest stroke is the breaststroke. Swimming dates back to 2500BCE and can be seen in ancient Egyptian drawings. The breaststroke goes back to the Stone Ages, but it wasn’t until 1904 when it was swam competitively at the Olympics. 6. Swimmers sweat in the pool. Based on an Australian study, it was found that on average swimmers lost about 125ml of sweat for every kilometer ran. However, you more than likely won’t be aware of it because you’re in the water. 7. Most of the United States’ population cannot swim. 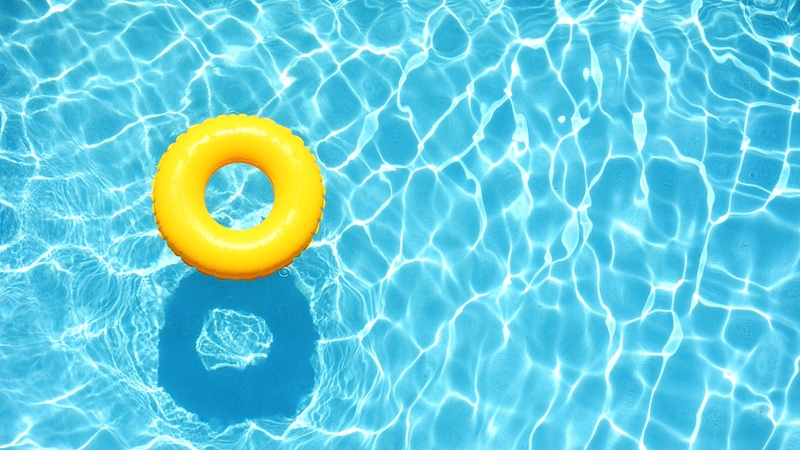 A 2014 survey taken by the American Red Cross revealed that more than half of Americans cannot swim. Fifty-six percent of Americans can perform five basic swimming skills; 33% of African Americans reported knowing the five core swimming skills; and men are more likely to report they know the five basic swimming skills than women are. 8. 10 years old: The youngest age ever recorded for an international competitive swimmer. 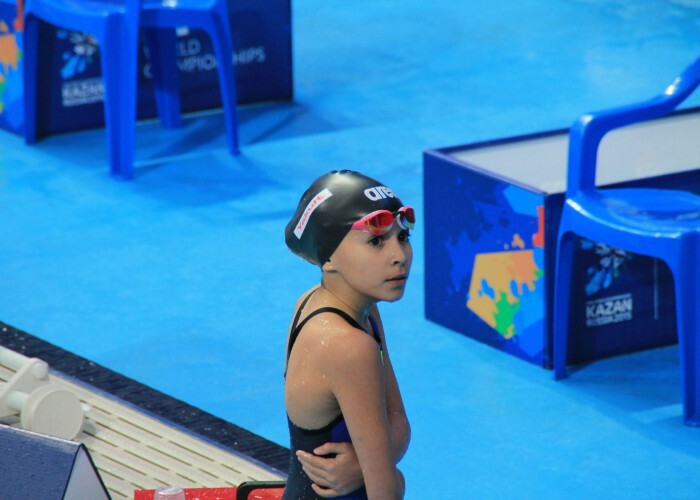 In 2015, then 10-year-old Bahrainian Alzain Tareq became the world’s youngest competitive swimmer in a world championship. Competing against others twice her age, she finished her 50-meter butterfly meet in 41.13 seconds. 9. The first swimming goggles were made from tortoise shells. The first recorded version of swimming goggles was during the 14th century in Persia. It wasn’t until the 1930s when rubber goggles were created. 10. Women weren’t allowed to compete in Olympics until 1912. Swimming became an Olympic sport in 1908, but women were not allowed to participate until 1912. Australian swimmer, Fanny Durack, became the first woman to win a gold medal in the 100-yard freestyle in the same year. 11. Adriatic was the first cruise ship to have an indoor swimming pool. 12. Some open water swimmers poop in the water. It’s true. Some open swimmers have had to poop during their swimming quest. However, the actual number of swimmers who do poop in the water is unknown because everyone refuses to admit it. 13. Shaving isn’t just for removing hair. Shaving is a common theme among swimmers, as it helps increase performance. Studies suggest that shaving makes the skin more sensitive in the water. This allows swimmers to “feel the water” better so they can make adjustments to their technique. 14. 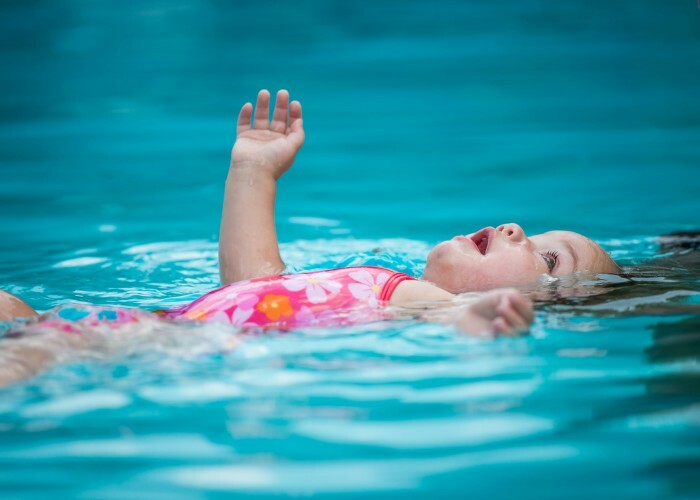 Children can take swim lessons as early as two months. Parents begin swim lessons with kids as early as two months. In 2009, drowning risks reduced by 88% when children between the ages of one and four participated in formal swimming lessons. 15. Swimmers use every major muscle in their bodies. Some people question whether swimming is a real sport; but did you know it’s one of the most intense sports out there? The reason is because swimming is a full body exercise. You name the muscle, swimming probably uses it. I am a swimmer and I can do flex my toes back, it is a rather strange thing to do but it makes me unique. Thank you for that helpful insight! It’s always great to see readers provide additional facts. I LOVE swimming so much even though I’ve only known how to swim properly for 3 months. This website helped me do my homework thx sm!!!! i dont blife that swimmers POOP in the water!!!!!! Thx for the info! It helped me alot for my persuading skills on the topic swimming!